If no one has said it yet, let me be the first…. 2. And getting a little anxious about keeping your kids active, happy and off of your every nerve. It was May of 2010 when I first posted a series titled Summertime Sanity. Anyone remember that? Four years later, the same questions arise… how can I love my kids well, honor God with these next few months and not lose my cotton-pickin’-mind in the process?! But here’s the big difference from 2010 to now…I don’t have toddlers anymore. I don’t even have preschoolers (sniff). I have full-blown boys — A rising (and bit hormonal) tweener, an eight-year-old and a kindergartener. Play-Doh and sand boxes no long entertain my crew. I must now rethink, revise and repost on what God is up to in 2014. 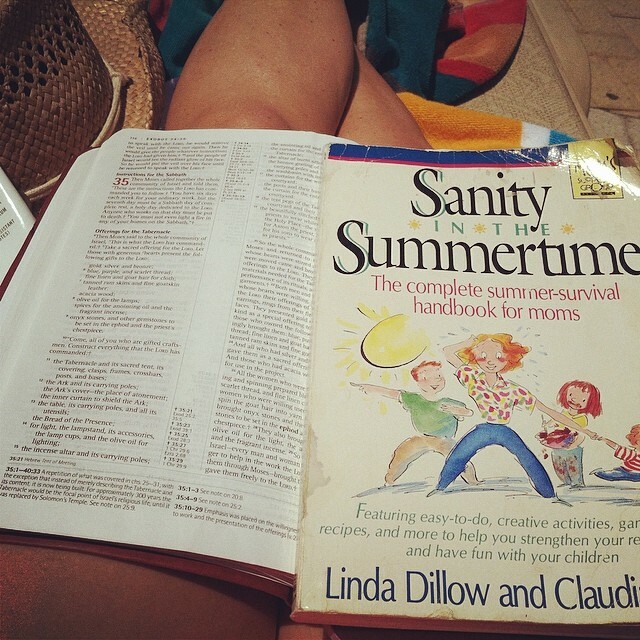 While at the beach, I read Sanity in the Summertime by Linda Dillow and Claudia Arp. Y’all go right now and buy it from Amazon. It is seriously like .99 cents. It is the best dollar you will spend all summer (with the exception of Sonic Happy Hour). The yellowed pages are full of wisdom and insight of how to not only survive the summer with your children BUT TO THRIVE. And no matter what season of child-rearing you are in, splash pad or swim team, this information will breathe life into your summer and add fuel to your mommy tank. So, with no further ado, I would like to invite you into a very raw look at the Crenshaw Family Summer 2014. In the days and weeks to come, I will be posting a few peeks into what God is trying to do around here and how we are facing summer HEAD ON with great anticipation, and honestly, lots of excitement! Through prayer and confession, I realized that my faith was so small. My Faith-O-Meter was low with thoughts of long, hot days of whining kids, fighting boys and an empty pantry. I was only praying with enough faith to survive the summer. But I want to pray with enough faith for a THRIVING summer. God doesn’t give us life to the little, He gives us life to the FULL. Why do I think June and July are excluded?! Satan wants to rob us all of a rich summer. 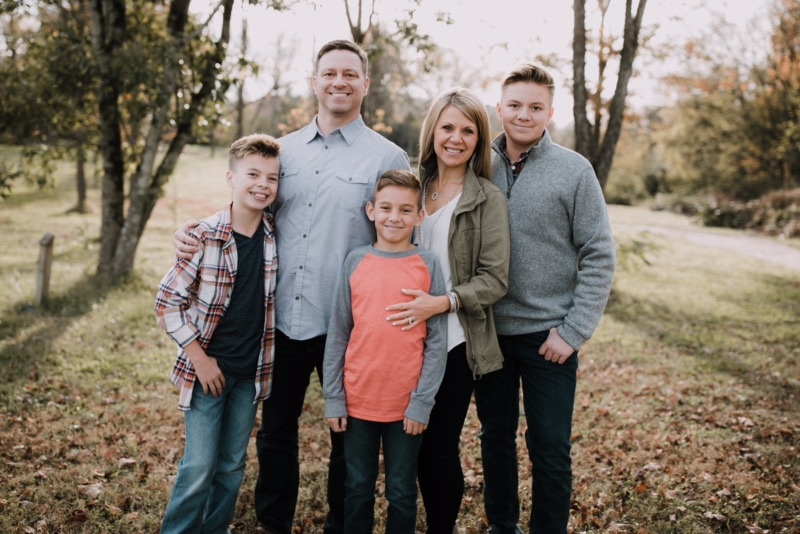 He knows that these months allow for us to read God’s Word with our kids in the morning, to have more unity at family cookouts, to do summer missions and service projects. We have more time to bake cookies for neighbors and take bike rides at sunset. The days are long, which means our faith must be stronger. Let us begin Summer 2014 on our knees, asking God to raise our Faith-O-Meter from survive to thrive. The thief will not steal, kill or destroy our summer! 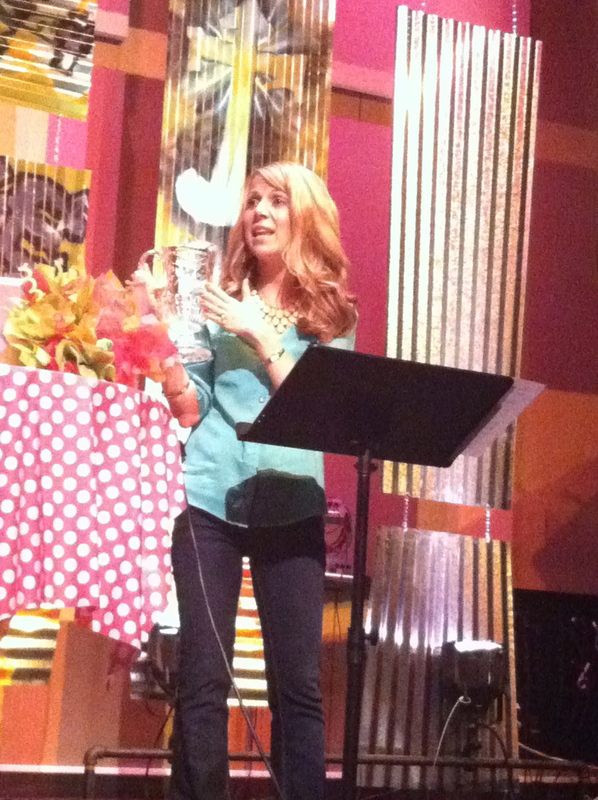 Jesus has come that we will have life [and summer] more abundantly! Who is with me!!? 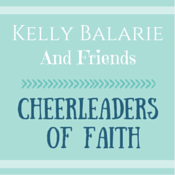 Do you need to raise your Faith-O-Meter, too? If you are interested in following along in our Abundant Summer series, give a shout out and say, “My Faith-O-Meter is high for summer!” and share with a friend!